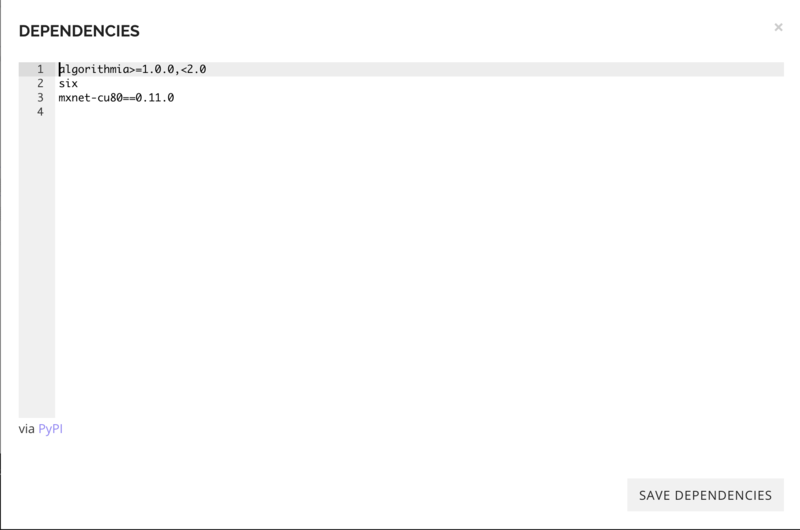 Welcome to deploying your MXNet model on Algorithmia! 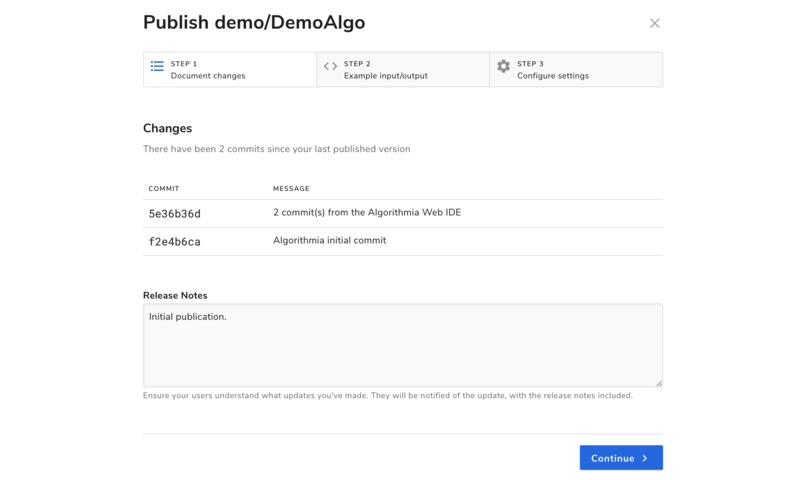 This guide is designed as an introduction to deploying a MXNet model and publishing an algorithm even if you’ve never used Algorithmia before. 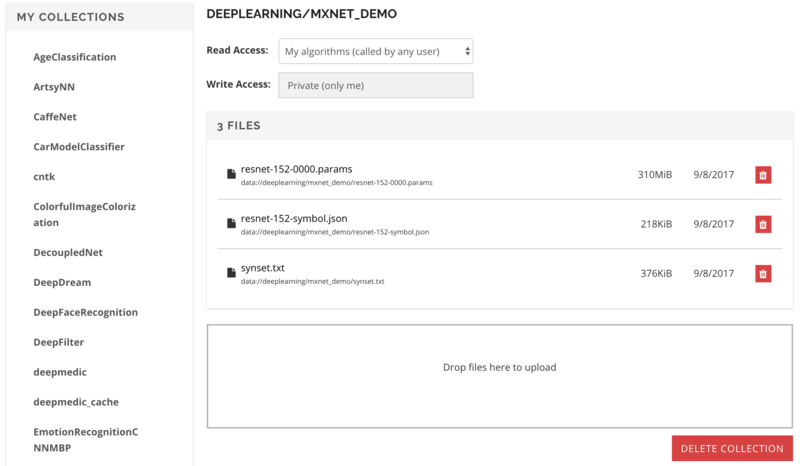 After training your MXNet model, you’ll want to save the model and weights so you can upload it to Algorithmia. Please note that you will need to use the mxnet-cu80==0.11.0 package to be able to run an MXNet algorithm. Here is an example for loading your model based on the Predict with pre-trained models based on MXNet’s official tutorial. That’s it for hosting your MXNet model on Algorithmia!